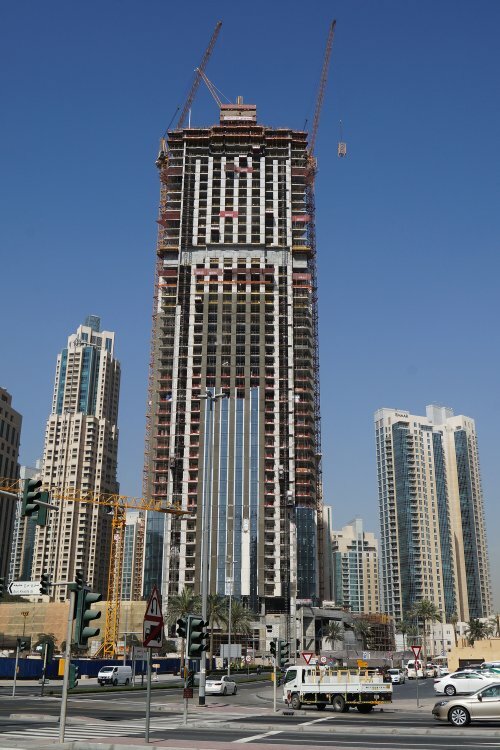 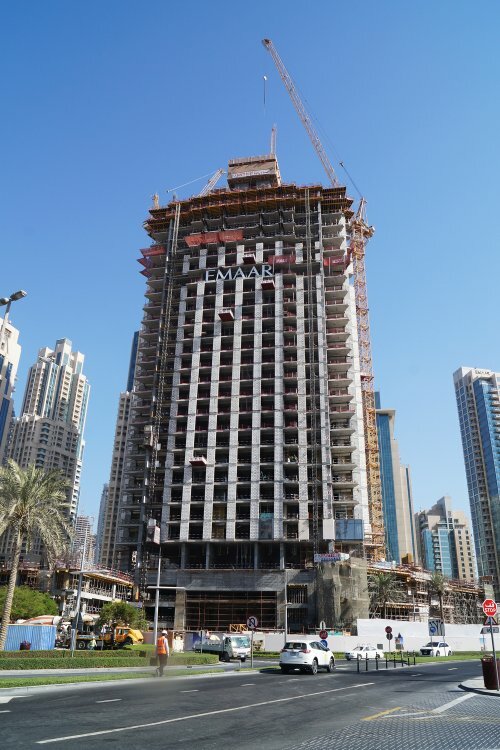 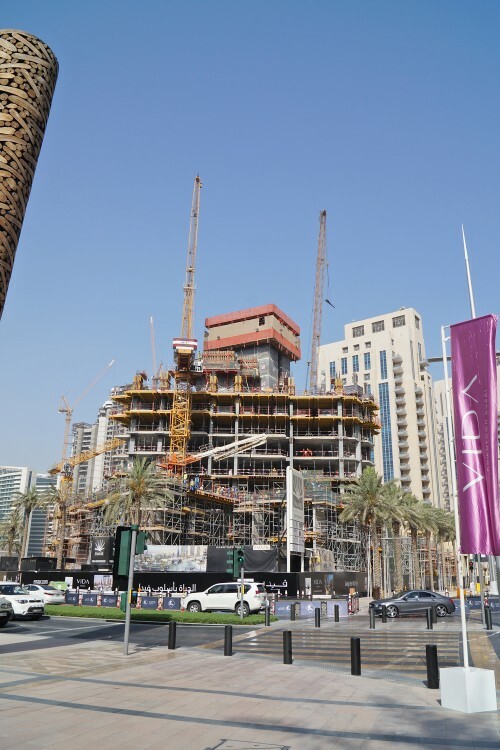 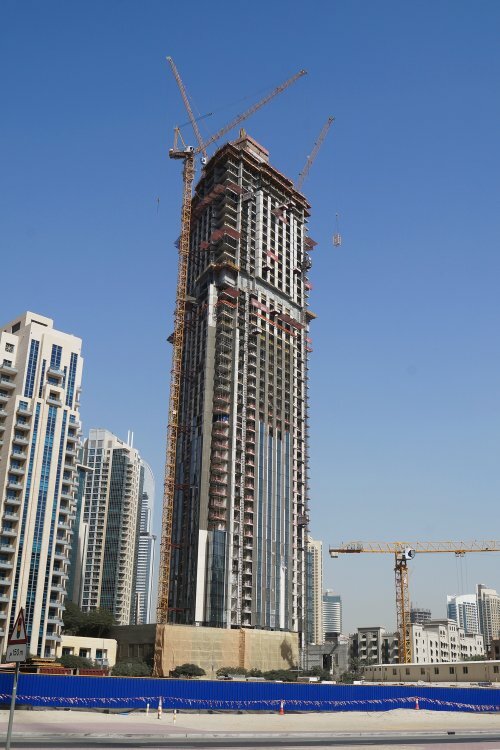 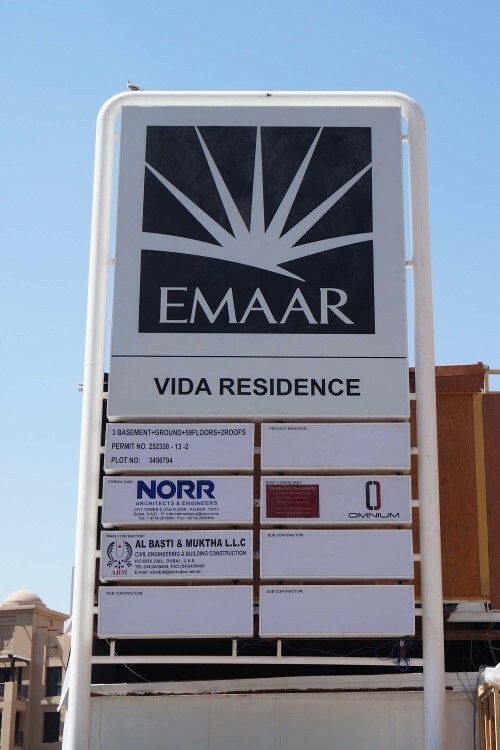 In January 2014 Emaar Properties launched Vida Residences, a new 60-storey residential tower in Downtown Dubai. 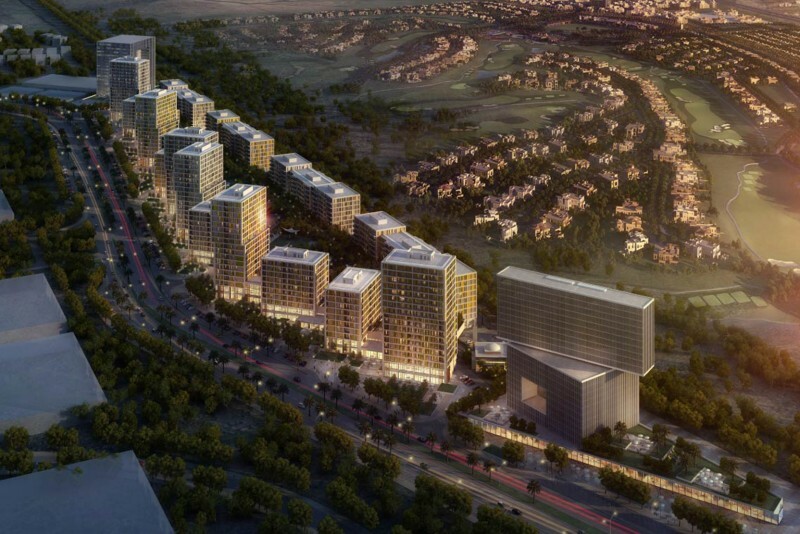 The project was announced internationally in Abu Dhabi, London, Baku and Riyadh, as well as Dubai. 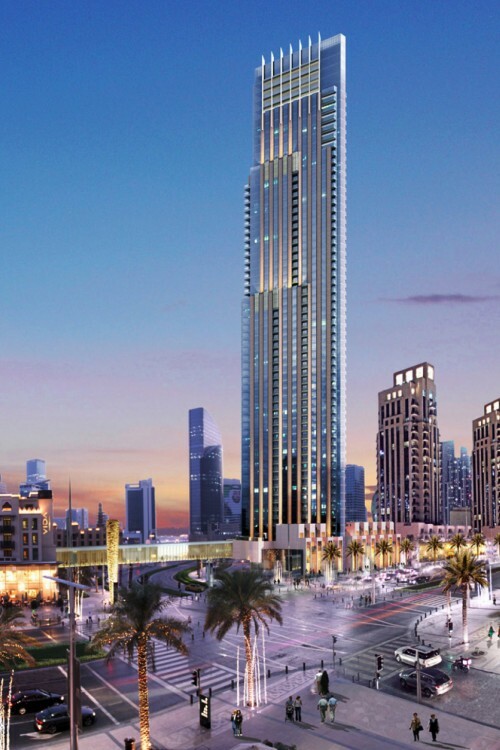 The tower will house 320 fully-serviced one-, two-, three- and four-bedroom apartments that directly overlook Mohammed Bin Rashid Boulevard, the main road that encircles the Burj Khalifa. 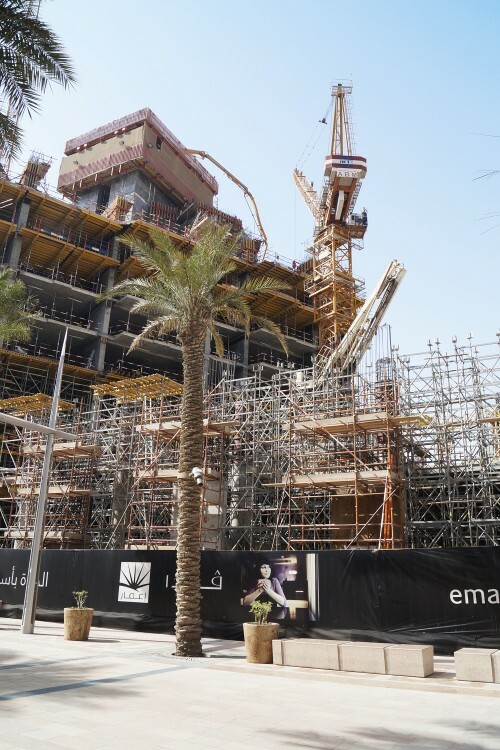 Residents will have access to a swimming pool, fitness centre, a dedicated children's area, and shops and cafés in the three-storey podium. 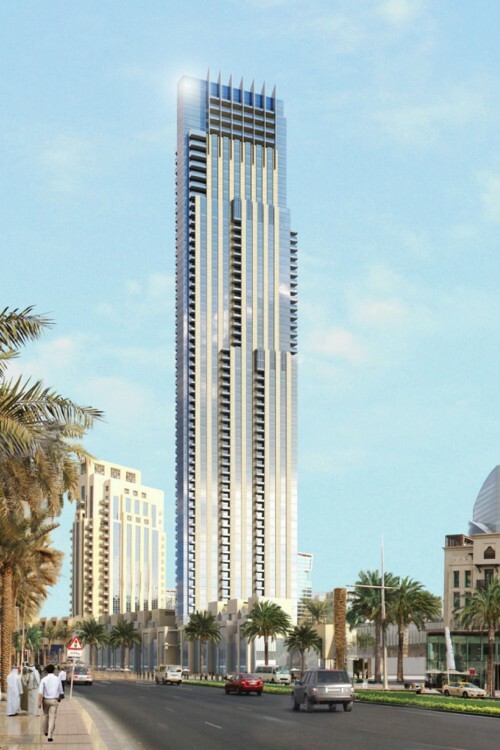 Vida Residence will connect to the existing Downtown Vida Hotel which will provide full service to residents via an air-conditioned glass bridge. 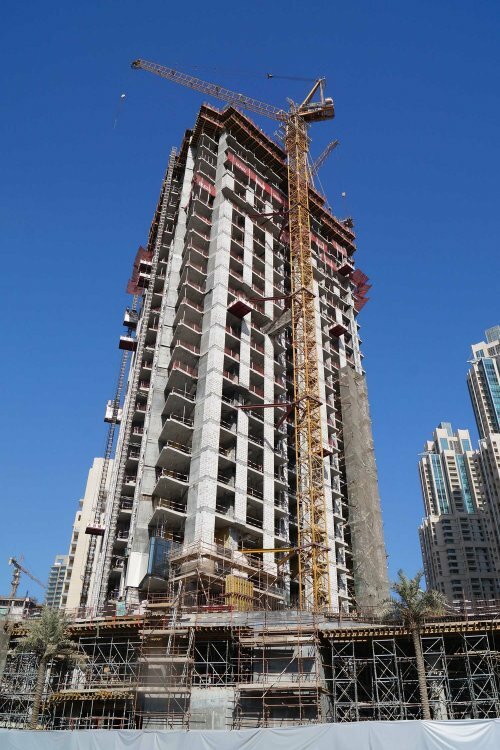 The Vida Residence tower is triangular and the facade will be built from stone and glass drawing inspiration from New York Art Deco architecture. 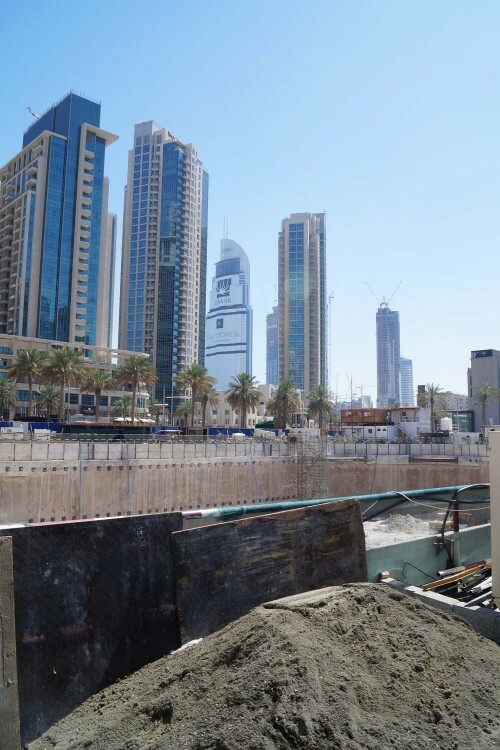 Soil tests were carried out in May 2014 and the car park that occupied the plot was demolished in November 2014 to make way for the tower's construction. 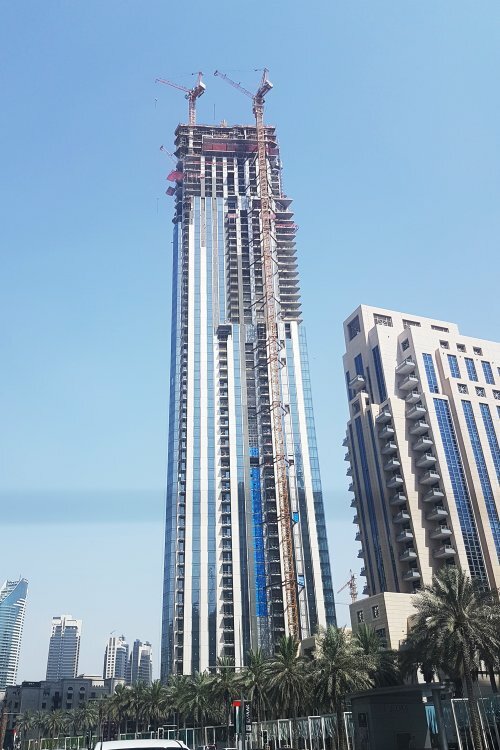 By April 2018 construction work had reached the 50th floor. 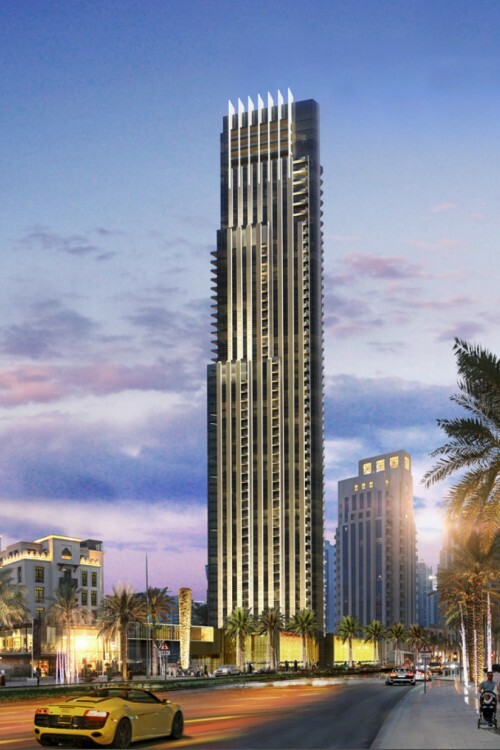 One-click links to properties currently on the market in Vida Residence.